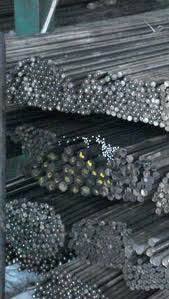 We present high quality Constructional Steel Bright Bars in the market. Our range of Constructional Steel Bright Bars is manufactured from EN -18/19, SAE – 4140 and EN-24 type of steel. These Constructional Steel Bright Bars are suitable for heat treated parts where high tensile and strength with least wear resistance is required such as Connecting Rods, Axle Shafts, Studs, Gear Shafts, Chain parts, High Tensile Bolts, Screws etc.